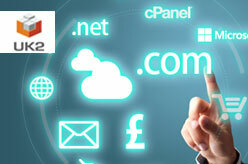 – UK-2 Limited (UK2.net) is one of the leading web hosting providers in the UK. UK2 is providing reliable and affordable hosting solutions since 1998. It is one of the biggest and fastest growing web hosting companies in the UK. Web Hosting (Starter, Home, Business, VPS Hosting, Cloud Hosting, Dedicated Servers, Reseller Hosting and E-commerce Web Hosting).